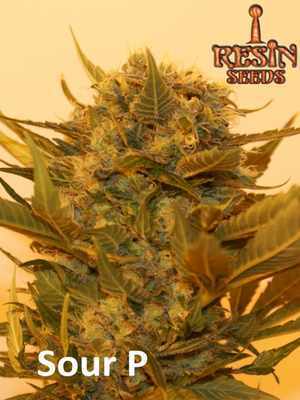 CBD-rich cannabis seeds are one of natures most sought after possessions. Although cannabis seeds breeding has tended to stray from including CBD in the genome, recent advances in modern medicine have demonstrated the ability of CBD seeds (Cannabidiol) to help improve an individual´s health. For many years, to buy medicinal cannabis seeds that were high in CBD, and not only THC, was quite difficult or impossible. Cannabis connoisseurs have favored potency as one of the main conditions that makes a strain stand out more than another. Potency has long been popular in the black market; many consumers were looking to get strongest high possible and looked for the strongest strain. So typically, cannabis users related potency to high levels of the cannabinoid THC, causing breeders to further their breeding project to plants very high in THC. Although it may be the most typically active cannabinoid in cannabis, there are dozens if not hundreds more of which scientists are as of yet, unaware. Due to more and more people globally considering cannabis as a viable medicinal option, CBD is beginning to shine as the newest member of the cannabinoid family. Recently, research has shown CBD to have analgesic, anti-inflammatory, and anti-anxiety properties without the psychoactive effects (the “high” or “stoned” feeling) that THC provides. While high THC strains often consist of levels reaching 20%, generally, CBD levels of over 4% are considered to be high. 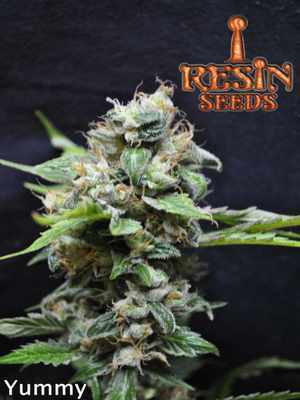 Along came our seedbank, Resin Seeds, to change things, to remedy the lack of access to the best medicinal cannabis. In our CBD strains, everyone can find plants suitable to their individual needs. Some plants will vary in chemotype, and in terpenes, and so will offer various potential medicinal qualities to the grower. Whether its Cannatonic, Dieseltonic, or Hammershark, one of these strains will be the right genetics for you. 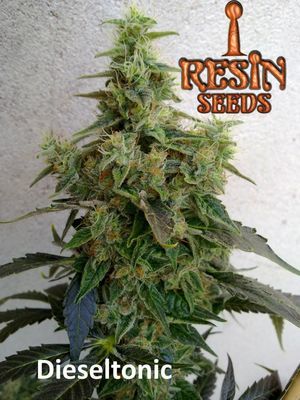 All hybrids of indica and sativa plants, our Resin Seeds CBD-rich genetics are here to bring the highest quality medicinal cannabis available on the market today. These are our classic high yielding, high THC strains. Without CBD (Cannabidiol) these plants are more potent, more psychoactive, and will produce stronger sensations of euphoria and relaxation. All our strains are developed locally in Spain and treated with only the finest organic products. One of the defining aspects of our seedbanks, in comparison to the rest, is that we work exclusively with select cuttings given to us by the original breeder. We don’t buy seed or go pheno hunting. We go straight to the source. So every parental plant in our stock has, not only been selected and given to us by the original creator of the plant, but also approved to be worked with our genetics and eventually be sold as fine connoisseur grade cannabis seeds. All of our THC cultivars are offered in feminized version only. This enables a large size of growers to go straight into production and not spend time on selection or separating males from females. It also allows for more stability in phenotipic expressions, meaning seeds will produce offspring that are highly similar to one another, leaving the grower with an easier task to properly provide best conditions for growth. These varieties are all hybrid sativa – indica plants, meaning no one strain will be purely indica or sativa, although some phenotypes will display either of the extremes. For the most part, one can expect sturdy vigorous and lush plants in veg, whereas, 8-9 weeks after inducing onset of flowering, one will encounter an incredible display of massive buds and colas. 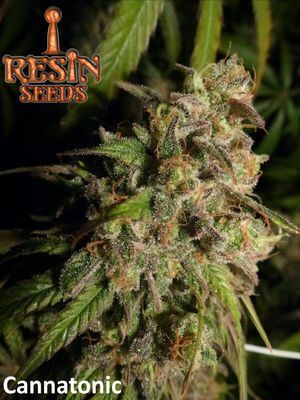 The grower can expect resin dripping from all angles and corners, a potpourri of terpenes and aromas to overwhelm the senses. 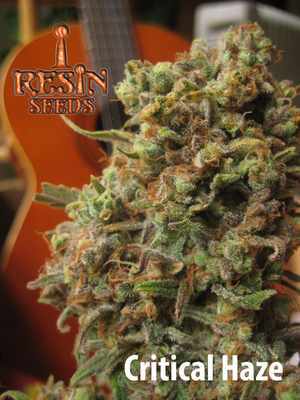 This is our end goal at Resin Seeds, to provide you with the finest examples of modern cannabis the world has to offer. Welcome to our seedbank!